On January 31, 1999, Shohei “Giant” Baba died of cancer in Tokyo, Japan. 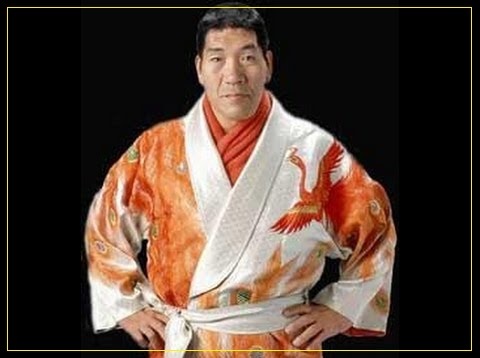 Born January 23, 1938 in Sanjo, Niigata, Japan, Baba was originally a right-handed pitcher in the minor league system for the Yomiuri Giants, before becoming a professional wrestler. Baba had signed with the team at the age of 17 and appeared in three games with the Giants. Japanese Wrestling Association owner Rikidozan would discover Baba while he was still playing pro ball, and decided to train him in his dojo. In what would be a pairing that would forever change puroresu history, Baba’s training partner was future legend Antonio Inoki. The two young wrestlers, along with their trainer, are now widely considered the three most influential men in Japanese wrestling history. 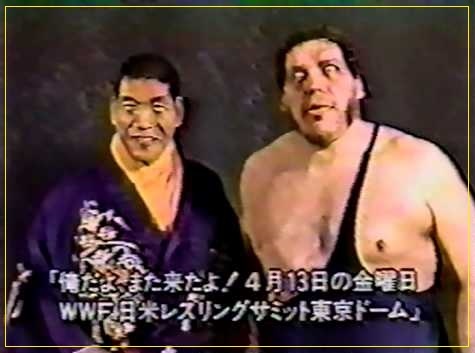 Six months later, Baba and Inoki, made their professional debuts on the same card. In the 1960s, Baba would go on to stardom in Japan, while also becoming a regular opponent of American champions. He would battle for both the NWA and WWWF World titles during the decade. In 1972, Japanese Wrestling Association had started to falter, so each of its top two stars departed to begin their own companies. Inoki would launch New Japan Pro Wrestling, while Baba began promoting cards under the name, All-Japan Wrestling. Baba would go on to hold the NWA World Heavyweight Championship three times in the 1970s, with each reign lasting less than a week and the American titleholder eventually regaining the belt quickly. Under the guidance of Baba, All Japan would go on a run of 250 straight sellouts in Tokyo’s Budokan Hall, and continue to be one of the nation’s top two promotions with Inoki’s New Japan. During his time running the promotion, Baba was forced to develop new stars, and he did… Names like Kenta Kobashi, Akira Taue, and Toshiaki Kawada emerged under his watch. Even as one of the top promoters in the world, he continued to always have success in the ring. Baba was a four-time PWF World Heavyweight Champion, three time NWA International Heavyweight Champion and a three-time NWA World Heavyweight Champion. began his final comeback in 1994 when he and longtime rival Stan Hansen teamed for the World’s Strongest Tag Determination League. They were eliminated in the finals. Baba is one of the most honored men in puroresu history and fondly remembered for his honesty as a promoter. He was a frequent partner of several NWA members over the years, while not often venturing to wrestle in the States. In late January 1999, an already ill Shohei Baba attended a match where Toshiaki Kawada defeated Mitsuhara Misawa for the All Japan Triple Crown Championship. Nine days later, he succumbed to cancer. He was 61 years old.